Invisalign is a well-known system of clear aligners that gently repositions your teeth. It can be used to correct crowding, gaps, and bite alignment. Patients prefer this form of treatment over conventional braces because Invisalign is clear and less obtrusive than metal brackets and wires used with standard orthodontia, and more comfortable. Unlike Six Month Smiles, Invisalign does not only focus on the front teeth – it can also improve spacing bite problems, making it a great alternative to traditional metal braces by shortening the treatment time significantly. After your initial consultation, Dr. Levenson will schedule an appointment during which impressions of your teeth will be made. These impressions are then digitized through 3D computer imaging technology to make a series of clear aligners for your Invisalign treatment. The aligners are then worn around the clock, with the exception of when you are eating, brushing, or flossing. This is the beauty of Invisalign – the retainers are clear, unnoticeable, and removable, unlike traditional braces or Six Month Smiles. Dr. Levenson and his team have provided have treated hundreds of patients with Invisalign. Invisalign has helped enhanced the looks of so many individuals over the years, allowing each one to be proud of his or her smile and find the confidence to show it off! Invisalign is one of the many options available to Dr. Levenson's patients for improving their overall smile and appearance. If you have been considering Invisalign treatments, call Dr. Levenson and his team today for a consultation appointment. 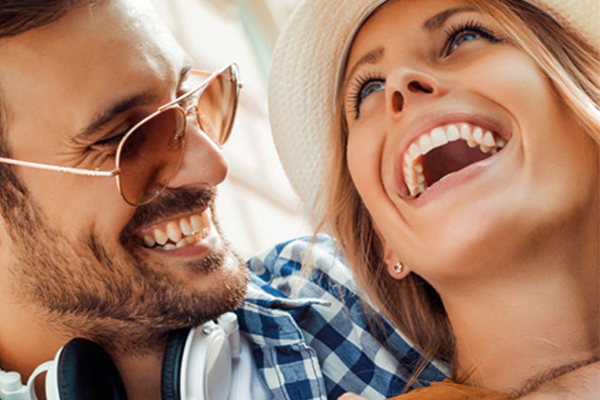 Find out if your smile can benefit from this state-of-the-art treatment.